Whatever the age, it’s always important to take care of our skin and especially if we are evolving in a luxury environment. For sure lot of brands exist but only a few are personally recommended by celebrities as skinChemists is. Let’s have a look! 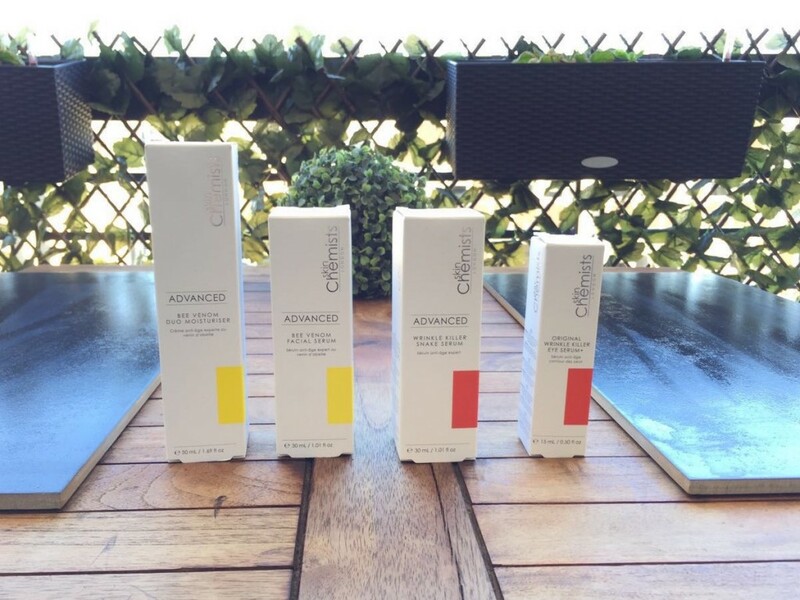 skinChemists is the pioneering celebrity skincare brand from London, England, popularized by Duchess of Cornwall Camilla in 2013. 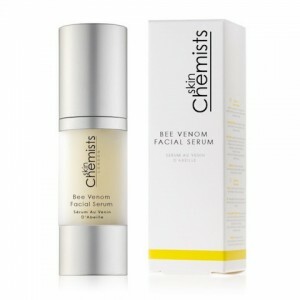 Their proprietary intelligent skincare system, is the key to the long term anti-aging treatments they are famous for. Designed to deliver fast, targeted results specifically on facial lines, wrinkles and sagging skin. With their roots dating back to the 1950’s and based on the advanced anti-aging work by a Pharmaceutical Chemist, the company’s foundation is in helping and healing. 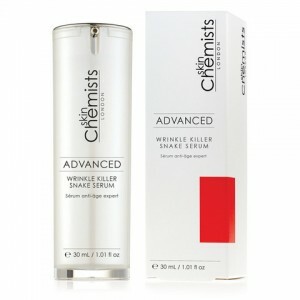 Today skinChemists are known the world over as delivering that incredible feeling of confidence. Knowing not only does your skin feels great, but looks radiant, vibrant and younger. 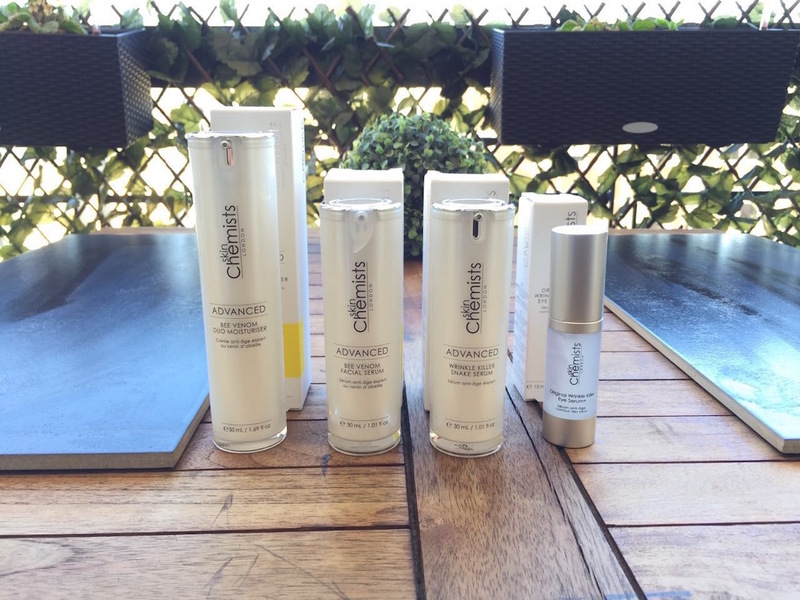 Following the world-wide celebrated original Wrinkle Killer range, famously used by singer Tulisa, designer Stefano Gabbana and TOWIE star Amy Childs, skinChemists have upped the ante with the Advanced range. Increasing the concentration of active ingredient Syn-Ake to 6%, the highest the market currently offers, as well as the addition of Holy Grail of skincare, Hyaluronic acid, the Advanced Wrinkle Killer Snake Serum is the latest in innovation for anti-ageing skin care solutions. The Royal Family favorites: Bee Venom and Manuka Honey. By fooling the skin into thinking it has been stung, the Bee Venom causes the body to increase the level of blood circulation to the targeted area, encouraging heightened production of collagen and elastin. This increased production restores a plumper and firmer skin structure, slowing down skin sagging and dramatically reducing the appearance of wrinkles and fine lines, particularly in areas of the skin most prone to aging around the eyes, forehead and mouth. Sponsored article, but comments and reviews are 100% ours.